ELOPEMENT - Frith Ellerman & Davis Law Firm, P.C. I have always wondered, is it harder to have your body and not your mind because of dementia, or would it be easier to suffer a broken body (MS, stroke, etc.) and have your cognitive function? There is no clear answer – both are equally devestating. Many of Virginia’s nursing home residents however, are capable of walking, exercising and maintaining a level of physical activity, but sadly, do not have the cognitive ability to make safe choices. Often times dementia or Alzheimers Disease will prevent someone from being able to connect to their present – which means behaviors may be inappropriate. If this is the case, the nursing home should have a way to protect your loved one from eloping from or leaving the safe halls of the nursing home. Further, they should be prevented from having access to dangerous equipment in the nursing home etc. Sadly however, we read daily where a loved one leaves the nursing home and the staff is completely unaware until something terrible happens. We have represented families who found loved ones in nursing home parking lots with head wounds, or frozen to death in the woods near the facility. Talk about negligence. How many nurses does a dementia patient have to pass before he gets to the front door and to the staff parking lot? 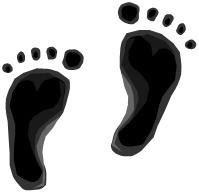 The human body will move if it is able (recall the song – “The boots were made for walking” – well, we too were made for walking, but unless the nursing home staff provides a safe place and means of re-direction, elopement can be devestating. Our firm has successfully handled numerous elopment cases, and we would be honored to help your family too if this awful situation has occurred.